During the Easter Holidays, Daniel Carvill successfully completed his training with us to become an Emergency Care Assistant (ECA). 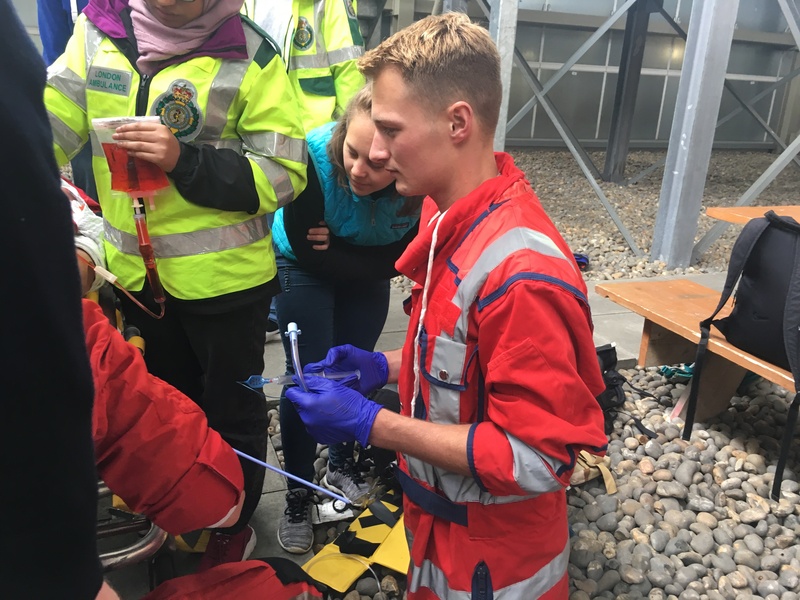 Daniel has now returned to London where he is spending a year studying Pre-Hospital Emergency Medicine, at Barts (St Bartholemew’s Hospital) and the London Medical School. ‘I’ll start with a big thank you to the team at St John Ambulance and Rescue for all their commitment during my training and development. This Easter, I was able to complete my ECA course, enabling me to respond to emergencies with the front-line crews. For a medical student in his fourth year, this is a fantastic opportunity to develop my clinical technique and diagnostic skills and such an opportunity would be seldom available for a medical student in the UK. I have almost completed my year studying Pre-Hospital Emergency Medicine, at Barts and the London Medical School. The ability to work as an ECA during my holidays supplements my learning at university and allows me to apply my medical knowledge to patients in the pre-hospital environment.